At present, companies fail to attract and retain valuable employees on board despite the lucrative pay packages offered to them. A number of reasons may back such a state of affairs, but one most important factor is the lack of different development initiatives by companies to encourage an employees’ desire to constantly learn and improve. What enthusiastic professionals look for in an employer other than the conventional benefits is the commitment of the organisation to help them increase their knowledge and skills. Similar is the case with customers. If customers receive instant information regarding your products and services, then it increases customer retention and improves relations for your business. A knowledge base becomes mandatory for businesses if they want to retain more customers and in the process foster employee development. Improved customer care as feedback from customers is available and tracked in the knowledge base which helps in taking appropriate measures to improve services. Advantage of intellectual assets as the knowledge and expertise of an employee is retained even if he leaves the organisation. Quick search of Information as data processing done previously by employees is recorded for future reference. This enhances learning process of employees and develops their knowledge in dealing with those situations again. Less time in employee training as new and existing employees can learn about the job from the knowledge base without wasting time again to learn the key processes. Decreased costs for customer support as no staff involvement is required to give hands-on information to customers. Knowledge Build-up as it acts as a reference to employees, partners, and customers to do a job better and efficiently. Work Efficiency of Employees and Departments as they can work in sync with the requirements and needs of business as well as customers. Synquis knowledge base is designed with powerful features that make it relatively easy to use and affordable. One significant feature is the powerful search engine that provides customers the skill to search for information quickly. In addition to these, another enhanced feature is to allow provision of audio and video files to upload as per your needs. The Synquis team of experts have come up with a robust cloud based operations management system that has in-built features to manage your tickets, tasks, issues, knowledge bases and many more in a single dashboard. 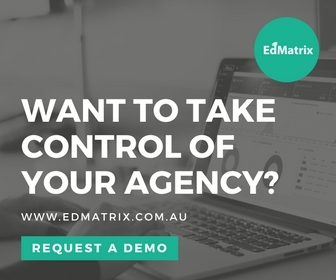 Enquire about our operations management software today by contacting us here. Our team is ready to assist you 24*7 with any queries pertaining to your business improvement.